On Friday night, we had the classic Bowl Jam. 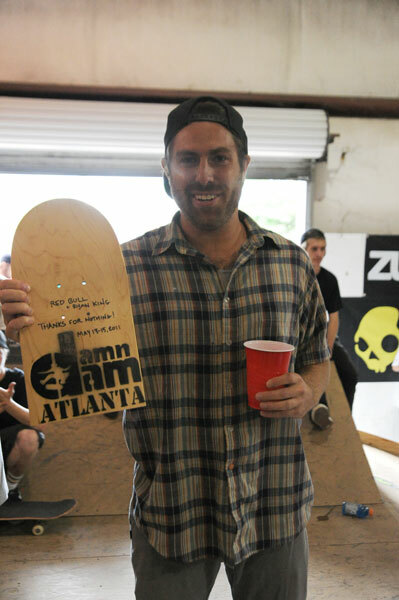 CJ Dixon scooped up the no comply disasters. 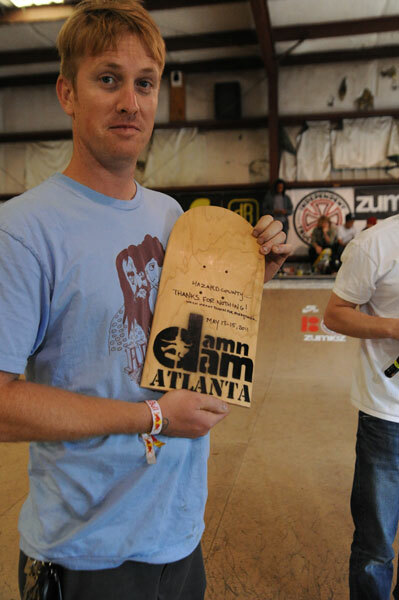 The Bowl Jam turned into a series of small contests, such as the highest air over the hip. It was like a low stakes game of dice with one and two dollar prizes. Of course their had to be a meron grab contest over the hip. Timmy Knuth has a good one. Dane Vaughn was in on everything all weekend from the street gap to the Finals to the Bowl Jam and even the meron grab contest. Marshall LaFrance had them all beat with this tucked up meron to the chest. SPoT local Tyler Hunger is looking good while growing up and now starting to skate Damn Am's. This is a stalefish to fakie. 20 years ago, this was my move. Maybe I should resurrect it. I got my camera back from Joe Pelham with this photo on it. There's not much going on for nightlife where we're staying, but if you got a room full of homies, you have a good time regardless. As part of my anti-old things campaign, the judges used no pens and no paper. Justin Brock kept things live all weekend. Pang on the mic is part of my anti-old things campaign, announcing the Contest with an electrical device and no paper. 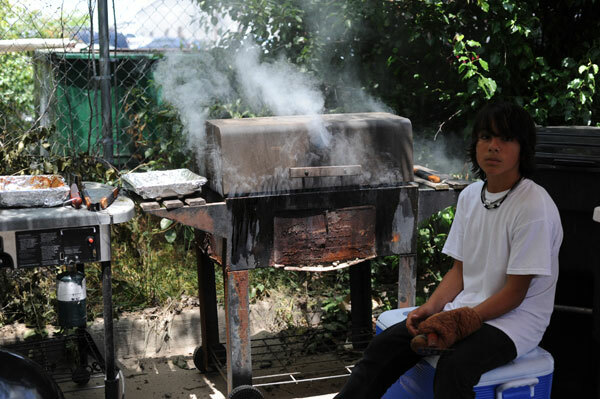 I hope this kid Jona stuck on the grill skates for free. Thanks for the hot dog. Justin Drysen is only 15 but he's already got that grown man style and light foot on the board. That's a casual frontside feeble grind. 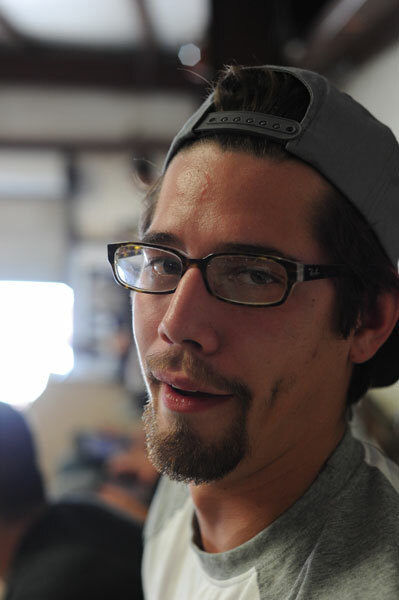 While skating, Chase Webb always has this look on his face like you told him he won the lottery. That's a frontside nosegrind across. Kyle Berard was ripping in between judging duty. That's a backside tailslide from the quarter to coping extension. Justin's got a good looking kickflip. The Independent Best Trick was on that scary bank to bar over there. Today at this little two dollar and smaller Bowl Jam we had at Damn Am, Ishod Wair showed us how to backside disaster. Jereme Knibbs, aka Van Manual, is the evil cousin of Van Damme, his hot foot just as swift and quick to the dome. Or hood. Ishod Wair - switch big heel in the Finals to 1st. 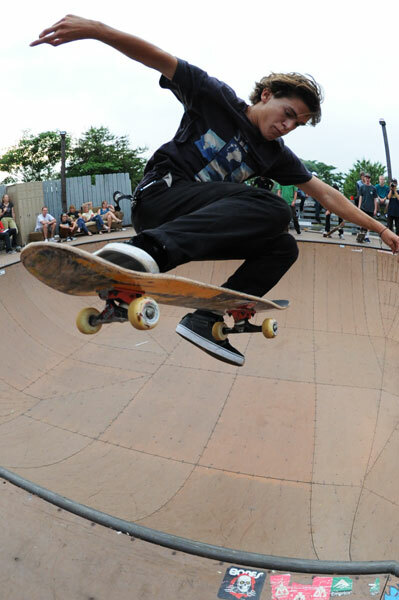 Out in the bowl, Marshall LaFrance was showing us what he's got for the coping dance contest. Smith stall, kickflip to front rock? Where's the disco ball for these serious dance moves. After the Bowl Jam, Timmy Knuth and Paul Hart were the last two trying their tricks so Schaefer had them battle it out in an arm wrasslin' match. Connor Champion popped his shoulder out during the Finals, but not before getting in this fakie hurricane on the rail. CJ Dixon is part of the Clem-350 crew that drove up from Tampa. Big 'ol pop to bolts on that frontside bigspin. Kyle Berard continues his destruction when not judging with this first try ollie out to sugarcane on request. CJ Tambornino has some crazy moves - straight no comply over the pyramid. Justin Drysen - kickflip front board. Marshall LaFrance with two tricks you can most likely do, but can you do them at the same time like this? Paul Hart - nollie half cab heel. Dane Vaughn - frontside half cab flip. Chase Webb - switch frontside bigspin. Chase Webb - gap to bluntslide with full lottery winner face. Antonio Massey - fakie ollie switch front board. 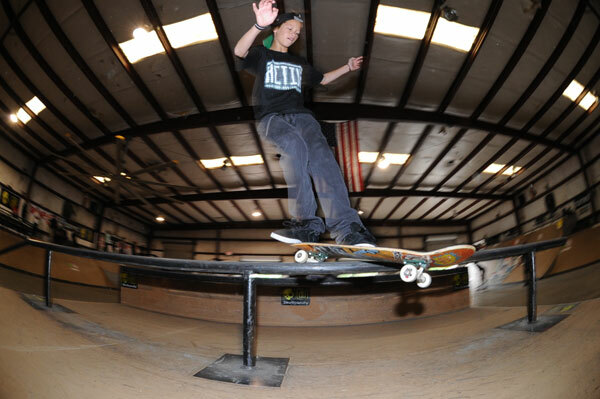 Alec Majerus - nollie bigspin back lip. Antonio Massey - cab back lip. Jereme Knibbs got in on the Indy Best Trick with this half cab nose manual back 180 out, sketchy landing navigation. 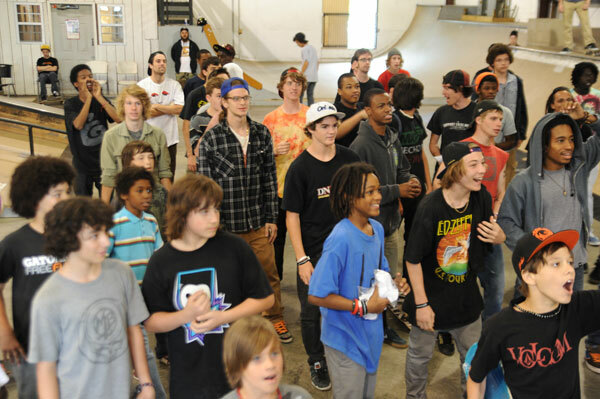 Thanks to Red Bull and Ryan King for all the support for what we do and that amazing gap session on Saturday night. Thanks to Jona for letting us take over Hazard County Skatepark for the weekend. 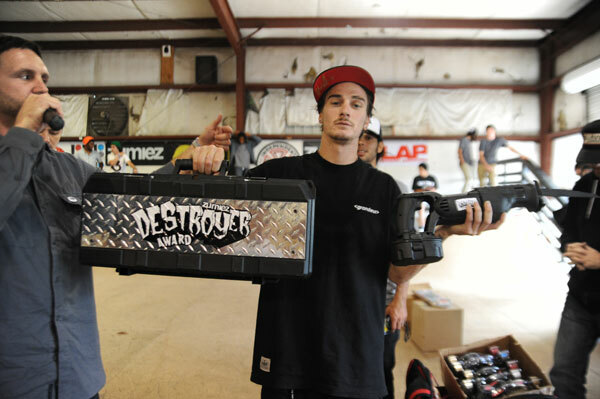 Dane Vaughn got the Zumiez Destroyer Award. It's a familiar top three this time around. Get the full results from the Finals here. With all the flow budgets getting cut these days, you see more dudes from the Contest in the product toss. I'm already looking forward to next year in Atlanta for the second annual. See you there. 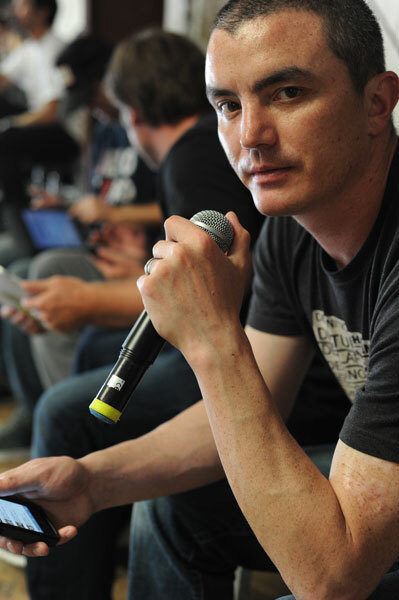 Get the schedule for the rest of the Damn Ams this year on the SPoTlight Productions site.